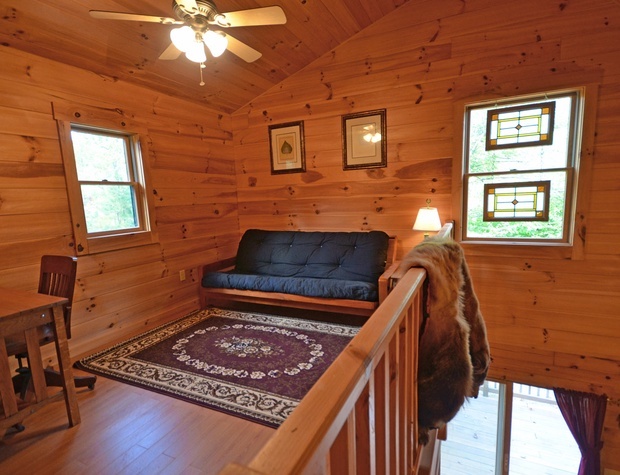 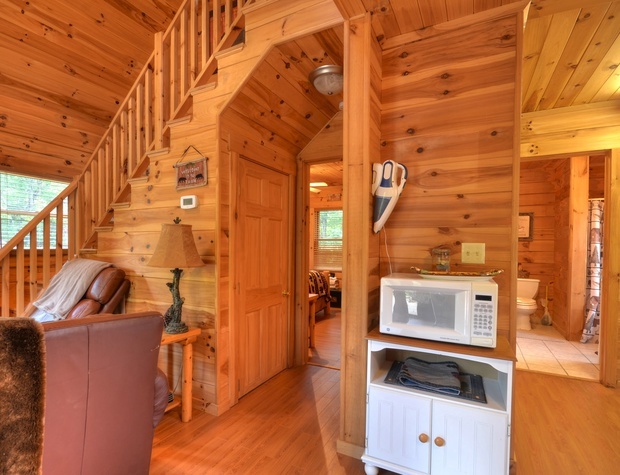 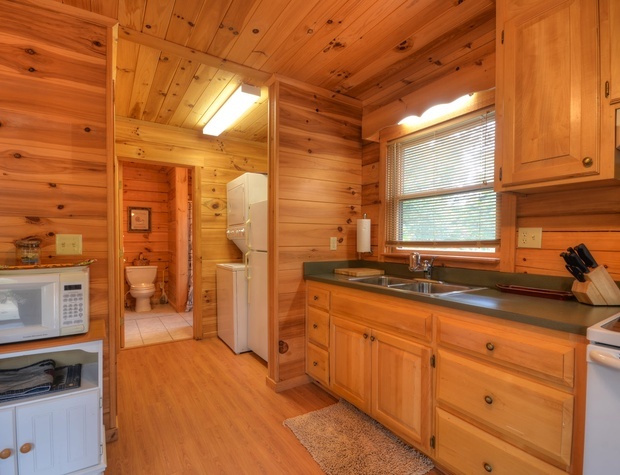 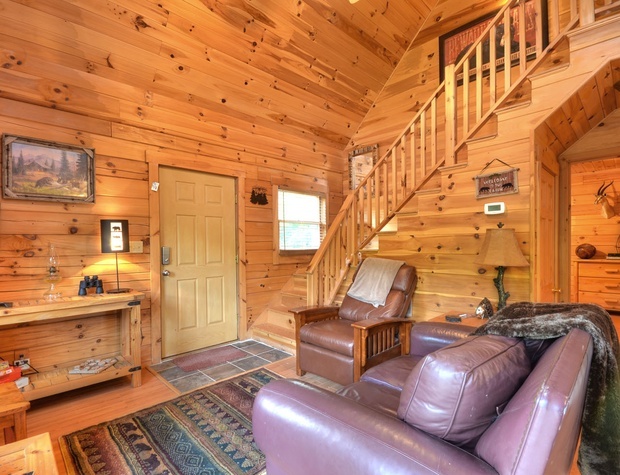 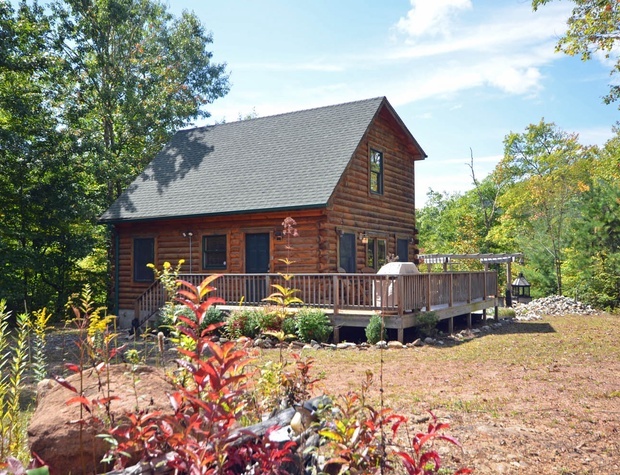 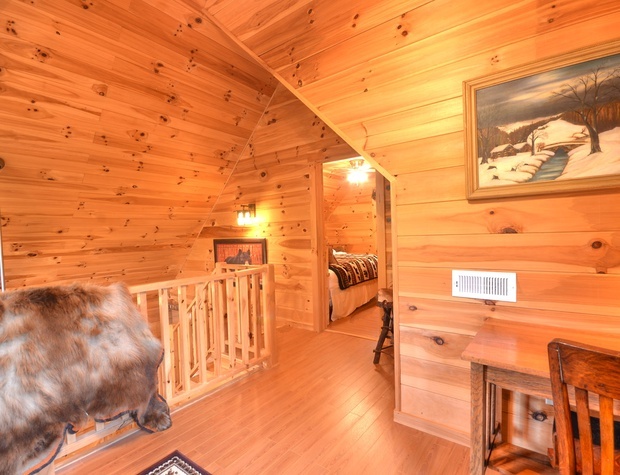 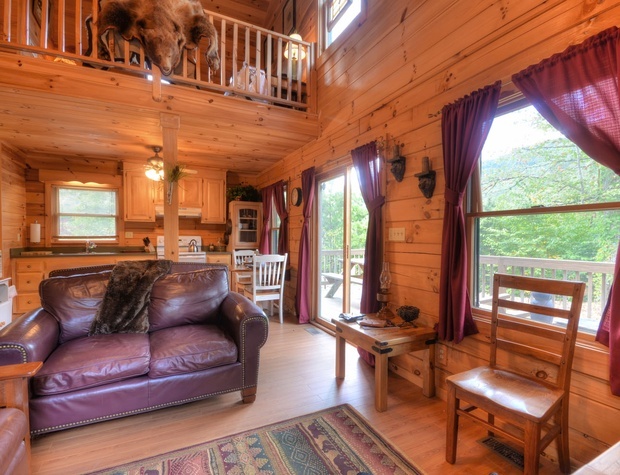 Ledbetter Ridge is a secluded two-bedroom, 1-bath log home located just off of Hwy 129 outside of Robbinsville, NC, which offers easy access to the Tail of the Dragon, Santeetlah Lake, and Joyce Kilmer National Forest. 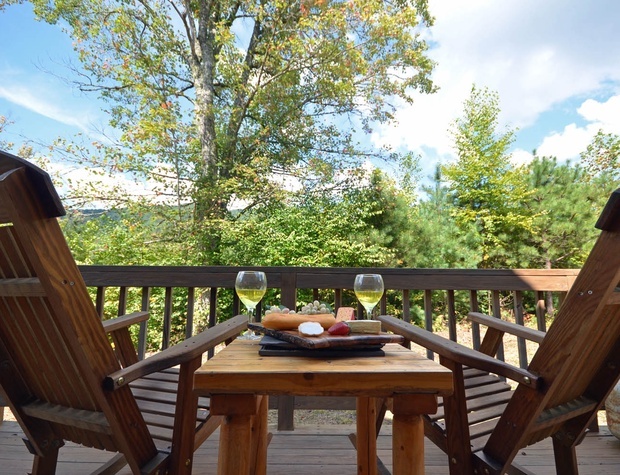 This property boasts a large yard with a pergola and outdoor fireplace for your enjoyment and relaxation. 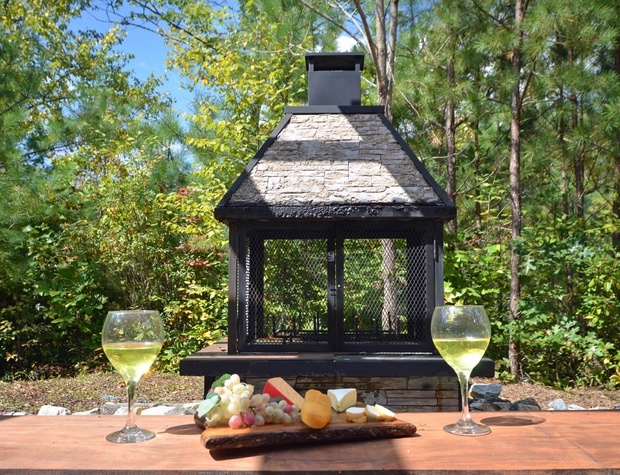 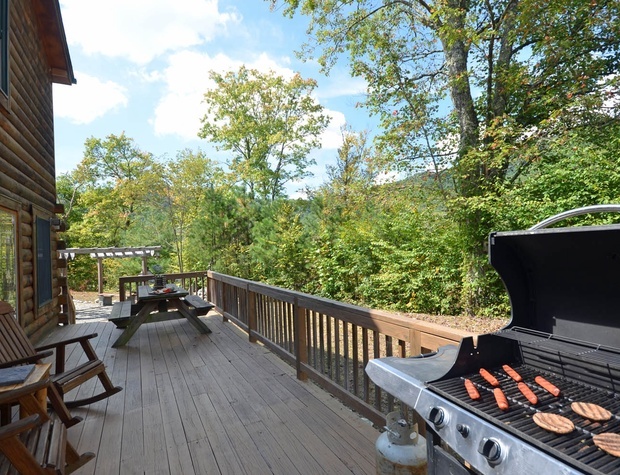 With it’s prime location, outdoor gathering area, and tranquil surroundings, Ledbetter Ridge is the perfect place for your Smoky Mountain escape. 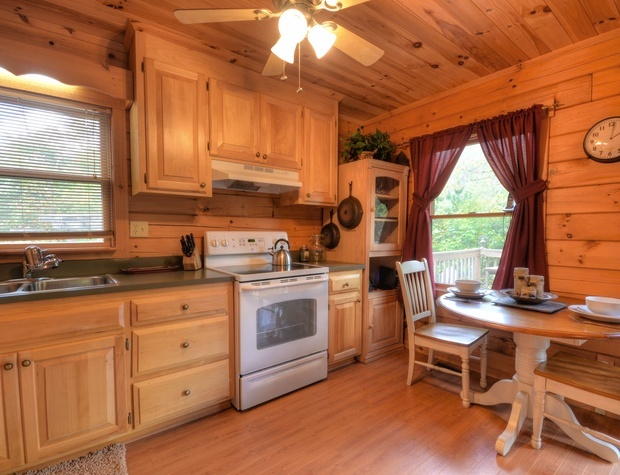 On the first floor, you will enter into a two-story great room comprising the living room, dining room, and a fully equipped kitchen. 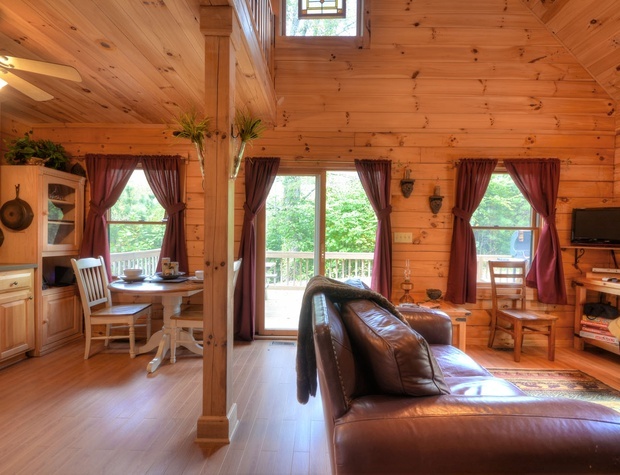 The living room features comfortable seating and a flat-screen television with DIRECTV service. 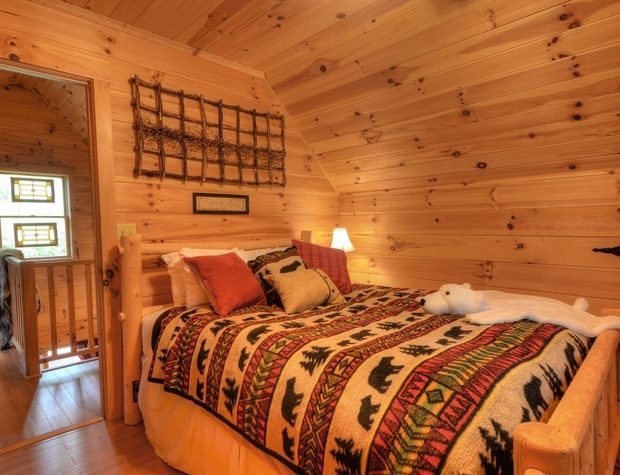 Down the hall, there is a queen-sized bedroom which also features a flat-screen and directv, the full bathroom, and the laundry area. 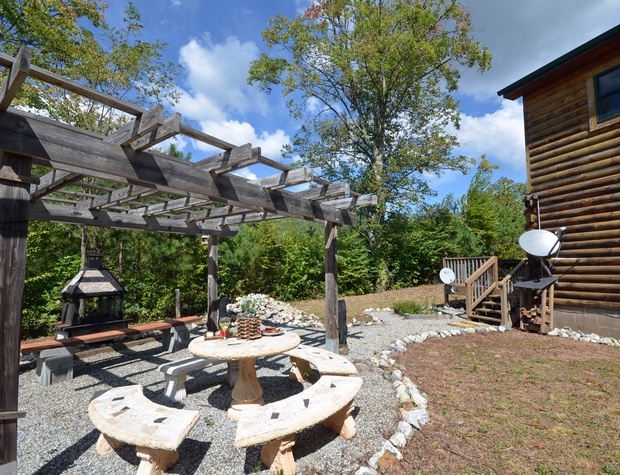 Outside, there is a partial wrap-around deck with Adirondack chairs, a picnic table, and a gas grill (full propane tank provided) for your culinary fancies. 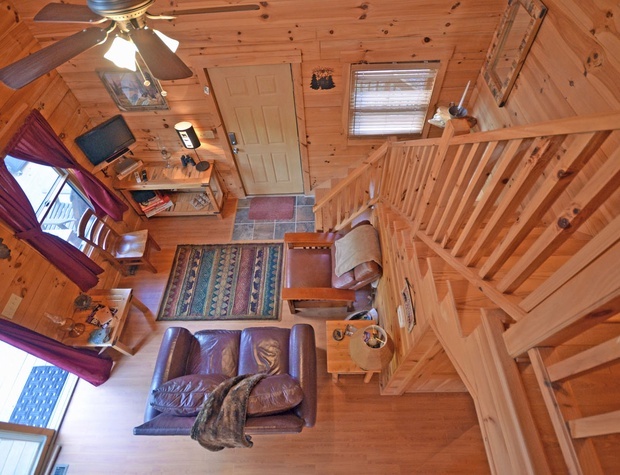 Ascend the stairs, and you will find an open loft which features a sitting area with a desk, chair, and full-size futon for extra sleeping accommodations on your right. 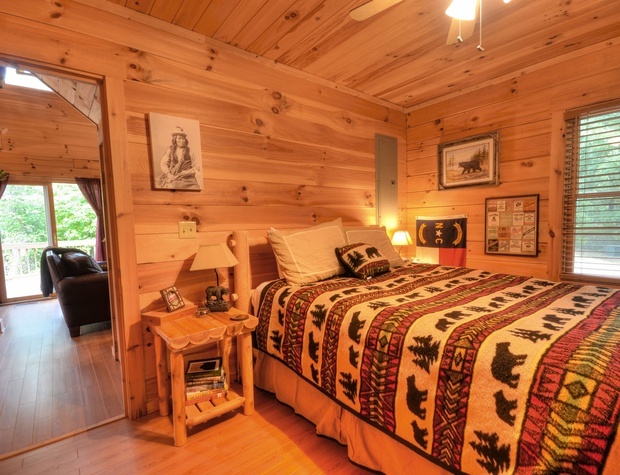 On your left, you will find the second queen-sized bedroom. 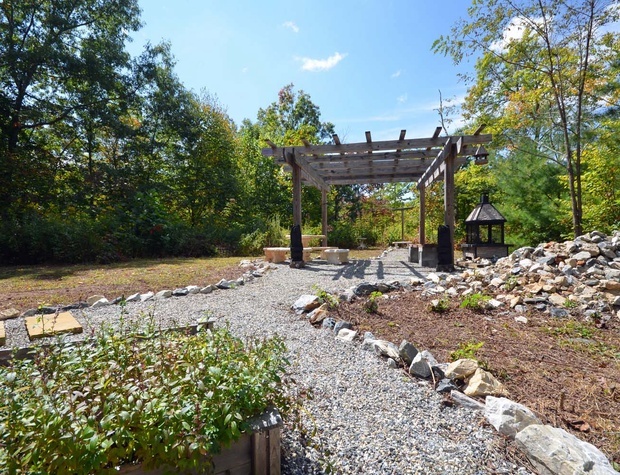 Just off the deck, you will find a spacious, landscaped yard which features an outdoor seating area, complete with a pergola, concrete table and benches, and an outdoor fireplace where you can gather to entertain or cozy up by the fire on a cool evening. 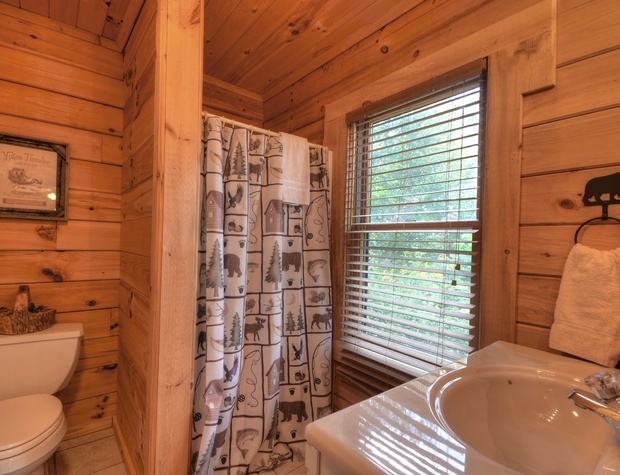 With the seclusion that this cabin offers, there is no doubt that you will be spending plenty of quality time enjoying this peaceful mountain setting.